Baby Barbie had a fantastic time preparing Twilight Sparkle, Pinkie Pie and Rainbow Dash for the Equestria Pets Beauty Pageant. She won the beauty pageant crown with the three adorable pets. 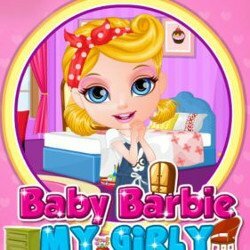 It was so much fun that the cute girl wants to repeat the amazing experience in our brand new eGirlGames.net game entitled Baby Barbie Little Pony 2! This time little magic ponies Fluttershy, Applejack and Rarity will get all the attention of the baby girl and yourselves, girls! 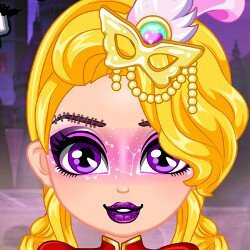 Baby Barbie needs your amazing pet grooming salon skills to prep her new Equestria Little Pony pets for the second edition of the Equestria Pets Beauty Pageant. 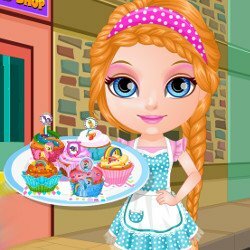 Pamper adorable Fluttershy, Applejack and Rarity with bathing, grooming, dress up and playtime sessions. Choose your favorite pony and place it in a bathtub full of water and bubbly bubbles. 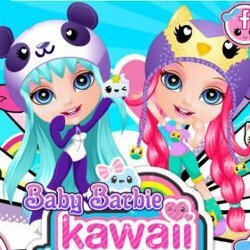 Baby Barbie fancies Fluttershy to start with. Which pet did you pick? Wash Fluttershy with water and soap. Rinse well and dry using a towel and hair dryer. Groom the tangled hair using a brush. Repeat the same bathing and grooming steps with lovely Applejack and Rarity. 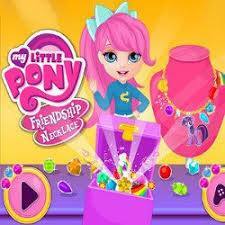 Dress up the magic ponies with stunning accessories like gold and diamond necklaces, tiaras and shoes. Add a cool body art tattoo in the shape of a red apple or a pink butterfly. 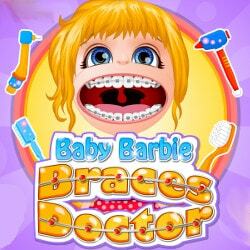 Have a blast playing our fab new Baby Barbie game!